Rules, procedures, costs and things to think about when pre-planning a burial or cremation were reviewed by Paul Welch, director of Welch Funeral Homes, who was Triad host and guest speaker for the September 23 meeting. Cremation is a more and more common choice, he said, explaining why Welch decided to build its own on-site crematorium, which serves Richmond Co. and neighboring counties. Cremation requires a signed death certificate, visual identification of the body, signed authorization from the family and review by a medical examiner. In the case of cremation, the services can be held anywhere (church, family home, outdoors), and the Funeral Director does not have to be present. If the family wants help for the service, there will be additional cost. With a traditional burial, the Funeral Home must retain custody of the body. Pre-paying for the funeral and burial is a good option, he said, particularly if someone is spending down their assets to qualify for Medicaid or to pay for a nursing home, he noted. Virginia has laws that protect money you give to a funeral provider in advance: the money is held in a trust that has to earn at least the value of the Consumer Price Index; all such trusts must be portable—meaning that if you make the arrangement with Welch Funeral Homes, for example, and then move away from the area, you can apply the funds in the trust to service from a different funeral home. The price of many pre-paid services is guaranteed, but not for caskets and vaults, he explained, because their prices are rising faster than inflation. Prices vary greatly, he said, with cremations typically costing $2,000-$4,000 and full funerals and burials averaging $10,000-$12,000. Mr. Welch provided packets of information for attendees, including a general price list from Welch Funeral Homes (it’s required for providers to make this information available), a brochure on funeral pre-arrangement and the “vital statistics” form that is required for every death. It can save time, he said, if much of this information is filled out in advance and either placed in a safe place or filed with the funeral home of choice. 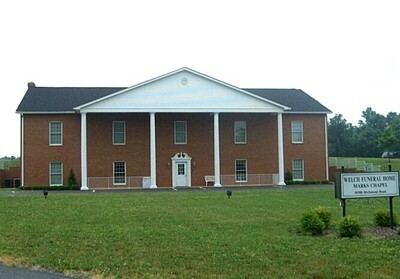 Get information on Welch Funeral Homes at http://www.welchfuneralhomeva.com or phone Paul Welch at 804-333-3770. This entry was posted on October 3, 2014 by jabercrombie702.